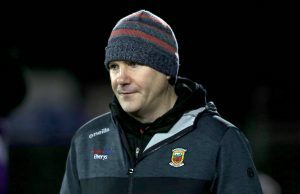 James Horan expects one hell of a session when his Mayo players return for training tomorrow (Tuesday) after they got their Division 1 campaign back on track with a richly deserved win away to league leaders Kerry on Saturday night. The lack of game time experienced by some coupled with the want of others to keep themselves foremost in the manager’s mind, means that Horan has his men exactly where he wants them heading into next Sunday’s make or break home game with Monaghan. Not even a win can guarantee Mayo a place in the league final and yet a draw may still be enough to get them to Croke Park, that’s just how up in the air the National League’s top division stands heading into its seventh round of matches. No team has officially been relegated, no team has officially reached the final. “At the start of this league we identified a number of things that we needed to work on; we knew we were strong in certain areas but that there were elements of performance which if we could get them better, and put that on top of what we knew we had, that we’d have a very strong team. That’s what the league is for us. That’s the value in it for us,” explained Horan in the wake of his side’s 1-10 to 0-11 win in Tralee. “It’s about winning as many games as we can and developing as strong as we can – and each week we play it’s a test of our improvement. “We’re genuinely not looking any further than Monaghan. It’s session to session and then we have games that validate how well we’re training. It’s not about looking at trophies or anything else at this stage,” Horan added, playing down the importance of qualifying for Sunday week’s final. In front of a capacity attendance in Austin Stack Park, Mayo became the first team this season to beat a Kerry side which had been bidding to win a sixth consecutive match. They were undone largely by a late Mattie Ruane goal but also by a stout first-half display from Mayo who, in the face of dreadful hail, rain and wind, managed to limit their half-time arrears to just three points. James Horan agreed that their good start was half the battle. “Kevin McLoughlin and the guys inside were doing well, they were taking men on and I think the first three points that we got in the first half were very good. They really settled us. “We had a lot of possession and we made a lot of mistakes but I thought overall we kept grinding and trying to do the right things. But we didn’t start the second half that well, we rushed it a little bit, we changed a few things around but it didn’t quite work out, yet I thought the guys adjusted very well. Our tackling and squeezing and closing up on Kerry was very good in the second half. Horan confirmed that former captain Cillian O’Connor still won’t be fit to return to duty on Sunday next yet on a night where vice-captain Paddy Durcan was also unavailable, and the likes of Lee Keegan, Colm Boyle and Andy Moran all started on the bench, the manager took great heart in the leadership shown by those who were on the pitch. “We were under pressure out there at times. I thought our tackling, when it needed to be really, really clean and clear, was very good. We’re doing an awful lot of work on not conceding soft frees and obviously, with the form of Sean O’Shea, scoring forty or fifty per cent of Kerry’s scores from frees, we were very conscious of that. I thought Chris (Barrett) marshalled the full-back line really well on that count. There was a couple of times in the second half where we made mistakes up the field and Kerry came running at us and I thought some of our strong hands to stop the attacks were very good. “We just came down wanting to put in a big performance in Kerry and see what happened then. We’ll just train Tuesday and Friday and look forward to Sunday and try and get a win in that game,” he concluded.